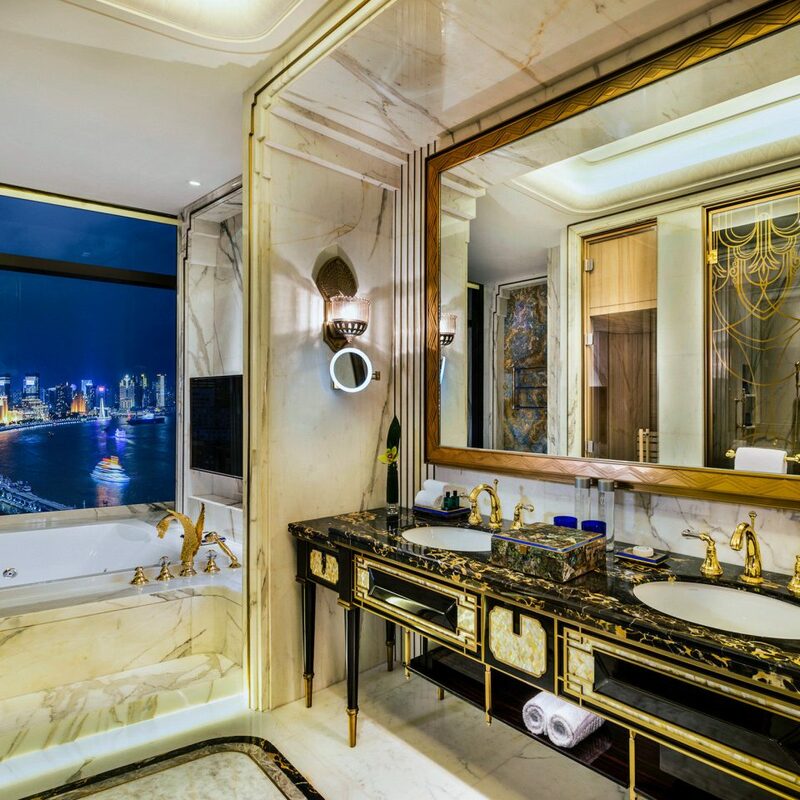 An exercise in luxurious opulence, Wanda Reign on The Bund impresses with its jaw-dropping display of glamour and glitz. 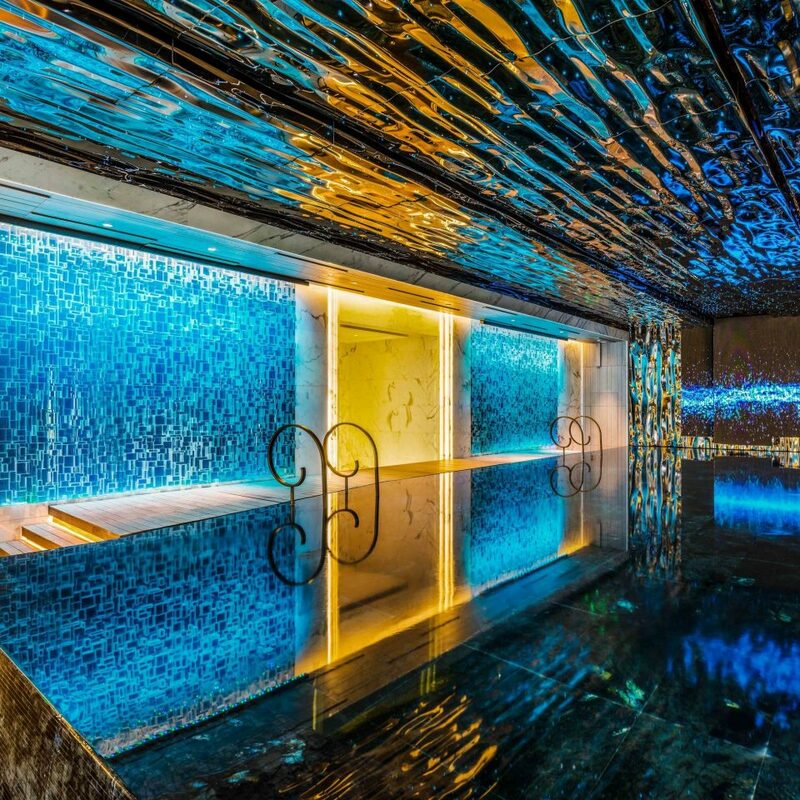 Designed by Foster + Partners and Heatherwick Studio, two prominent, award-winning British architecture firms, the building’s gleaming exterior hints at the grandeur awaiting guests inside. 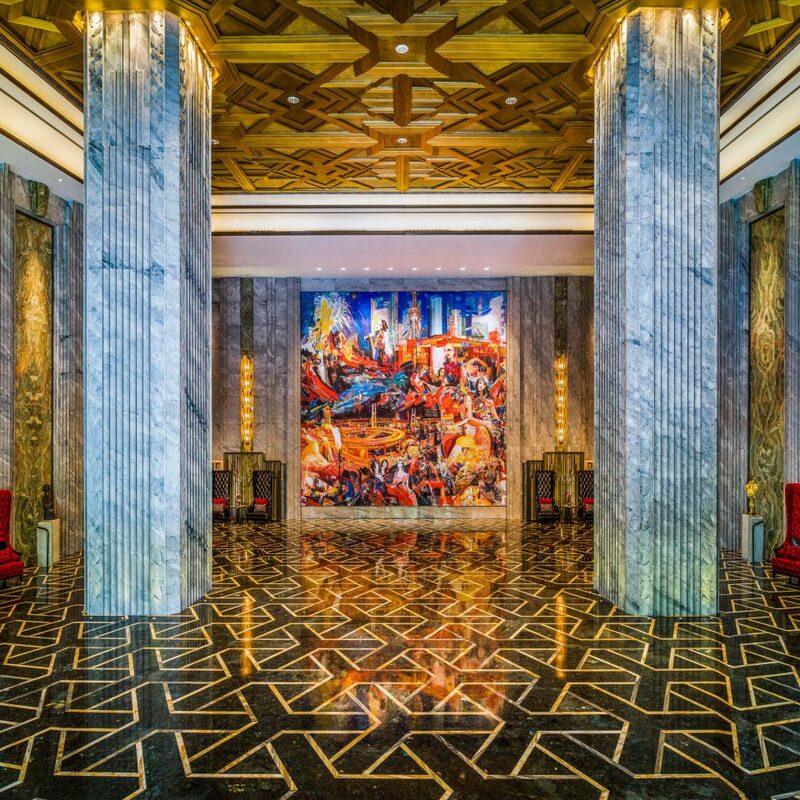 Jade inlaid floors and immense columns greet guests in the lobby while high-backed chairs offer respite from the city outside. It is no different throughout the rest of the space, classic Art-Deco elements are scattered all around – chesterfield sofas in rich colours make up the seating options for the restaurants, sparkling chandeliers dangle precariously overhead, and thick brocade curtains are pushed open to offer a view of the glorious Shanghai skyline. Though remarkably obnoxious, the furnishings have a modern styling that render them unique and eye-catching, rather than painful to the eyes. It is quite an experience to simply explore the space. 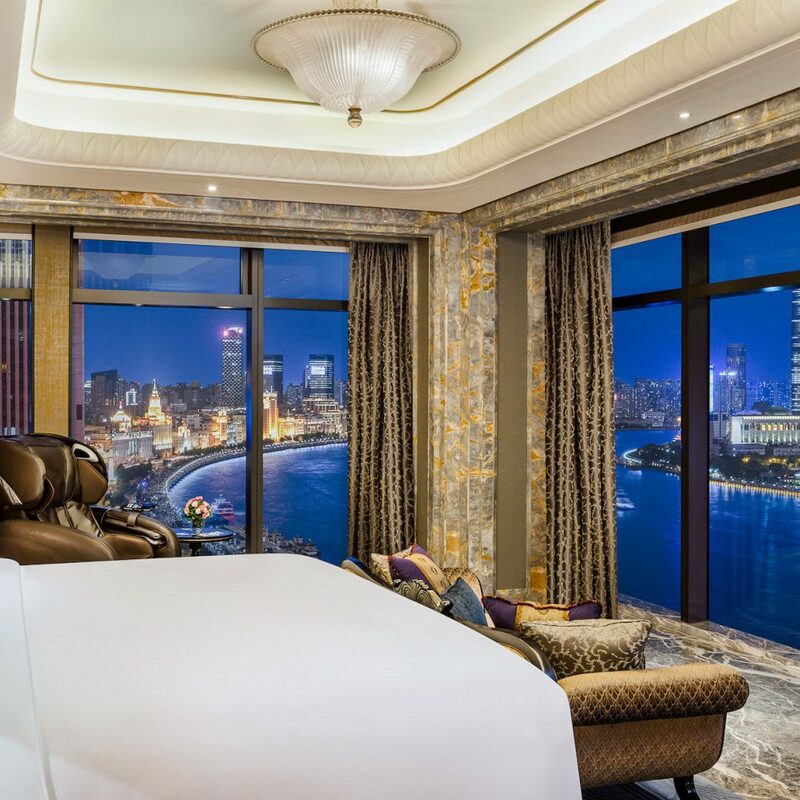 Newly opened in 2016, the hotel joins other iconic luxury properties on Shanghai’s Bund, the buzzing city’s luxury waterfront area. 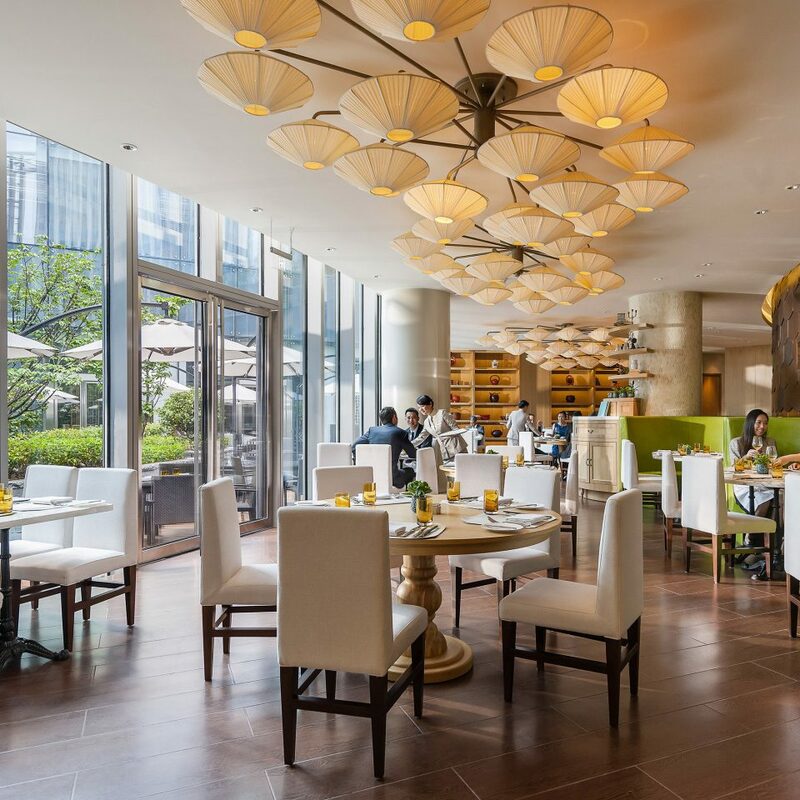 Here you’ll find plenty of fashionable locals enjoying the river view, shopping and dining at world-class establishments and outstanding buildings that make up the city’s skyline. 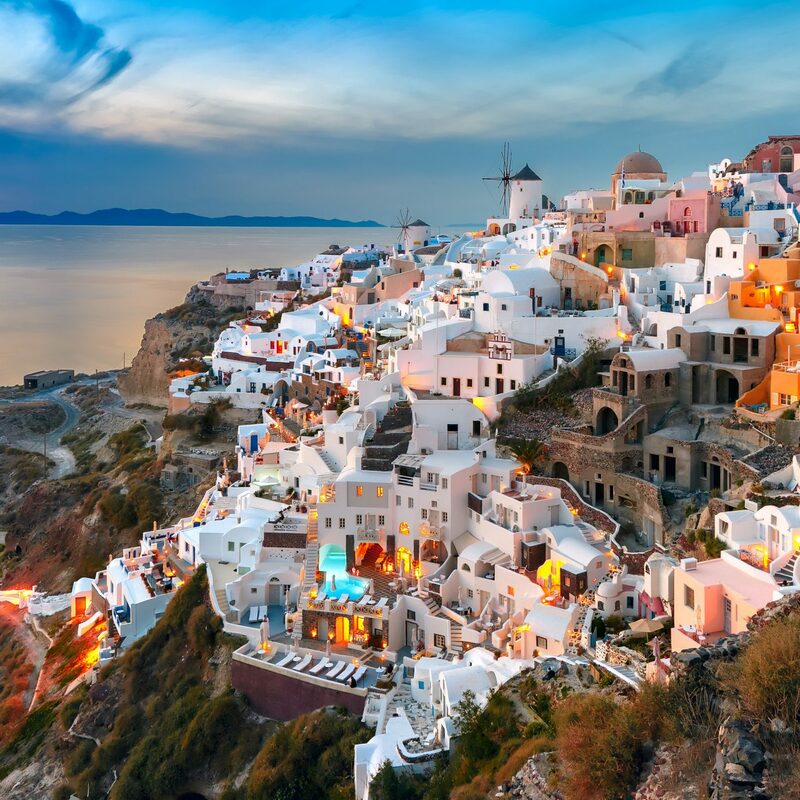 Take your time to explore the area because there is much to see and do. 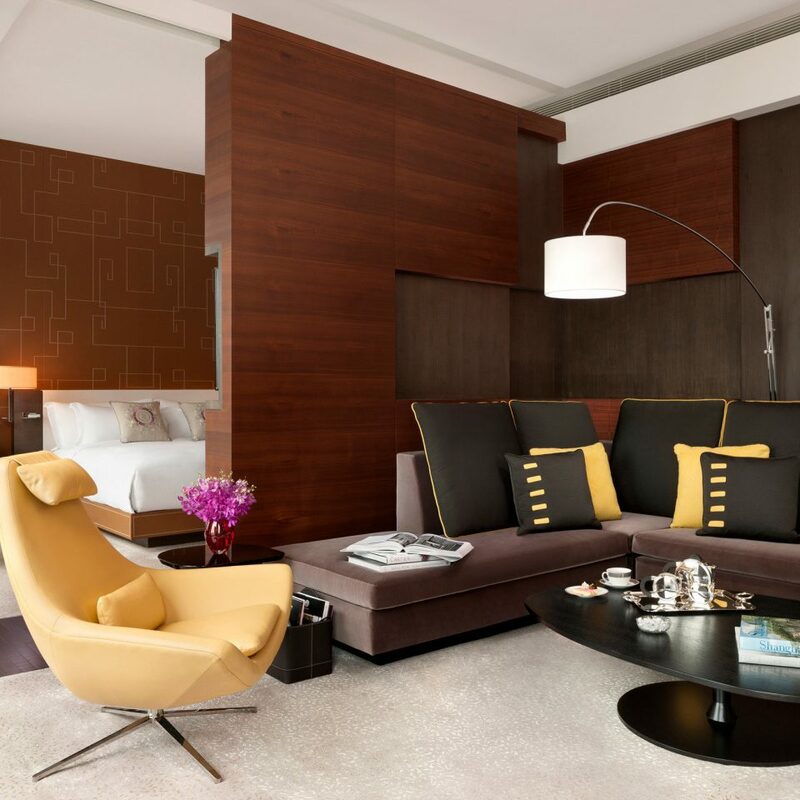 But it is more than its location, outstanding decor, refined restaurants and plush furnishings that give Wanda Reign on The Bund its right to label itself a seven-star hotel. 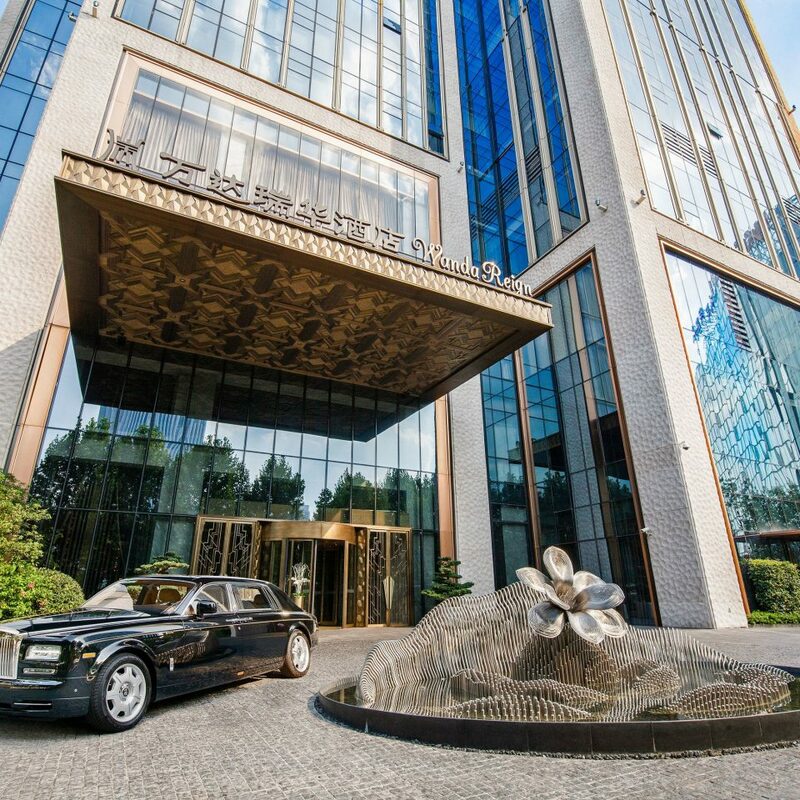 It is, more importantly, the exceptional service that has the wealthy of Shanghai flocking to this one-of-a-kind hotel. Wanda Reign is a beautiful hotel located in a great location. 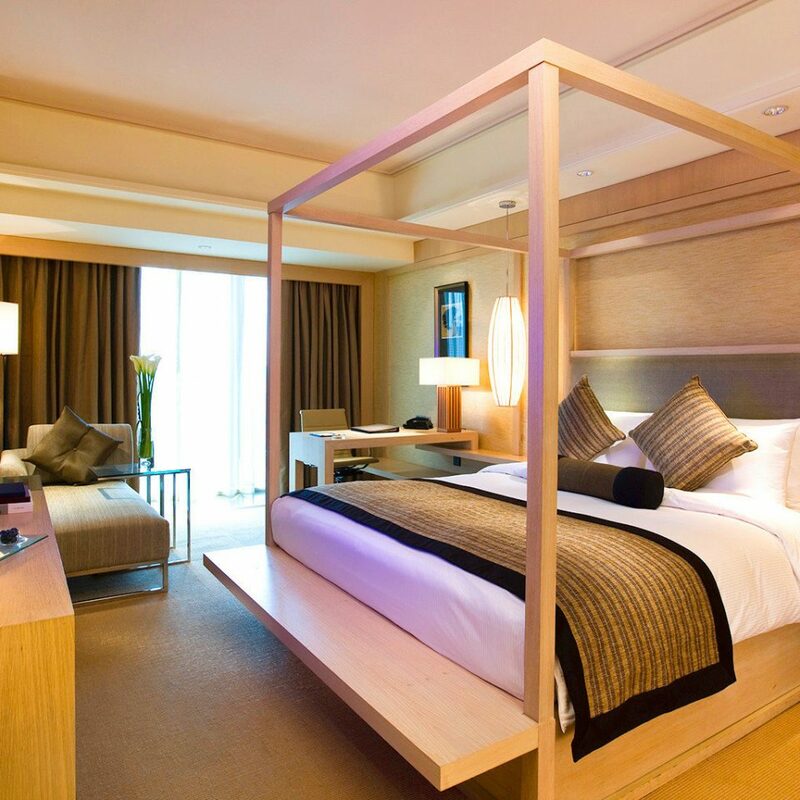 The rooms are beautiful and loaded with high tech features. The only issue we had was the room was a little warm and the air conditioning didn't seem to help. What a great staff, nice breakfast and a beautiful hotel! Good Morning from Wanda Reign on the Bund. 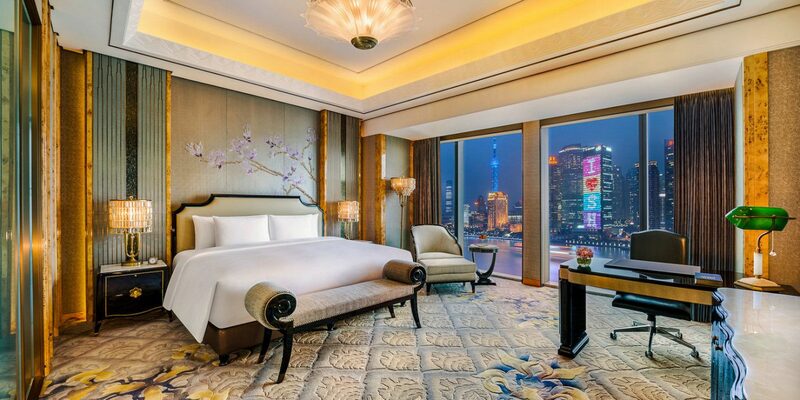 This is a beautiful hotel located on the Puxi side of the Huangpu River, overlooking the Pudong Shangri-la, Shanghai Tower and Lujiazui Financial district on the Pudong side of the river. Wanda is a well known domestic hospitality brand. Recently, I visited this property multiple times. 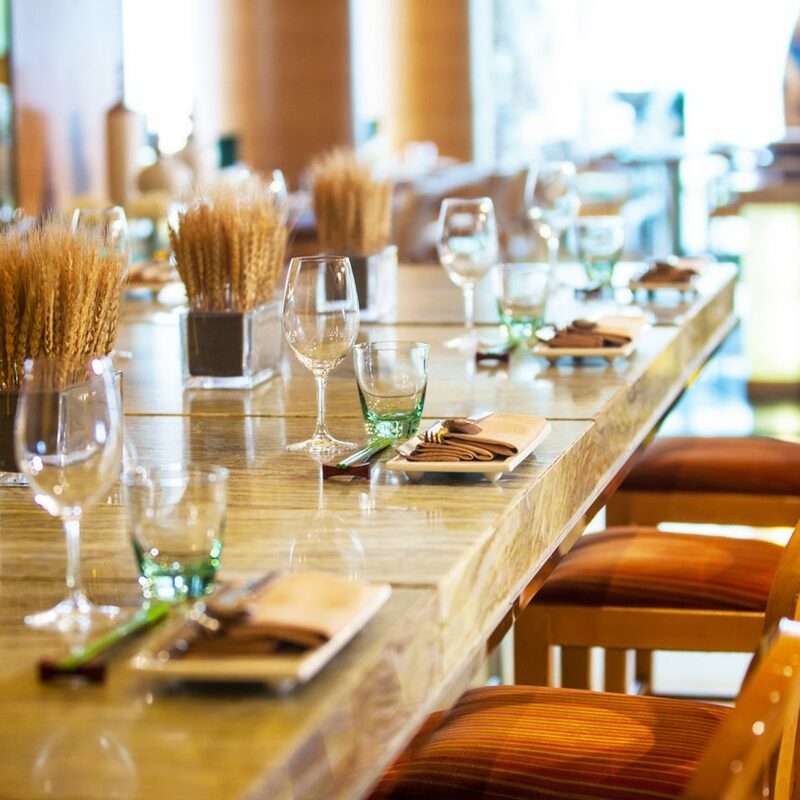 First time, a business meeting followed by a lunch buffet at the all day dining restaurant on the first floor. It was packed. Excellent food with good service. After a week or two, I went back to Wanda Reign for a special event at the rooftop bar. The event was a lot of fun with lots of well known people from Shanghai social circle. 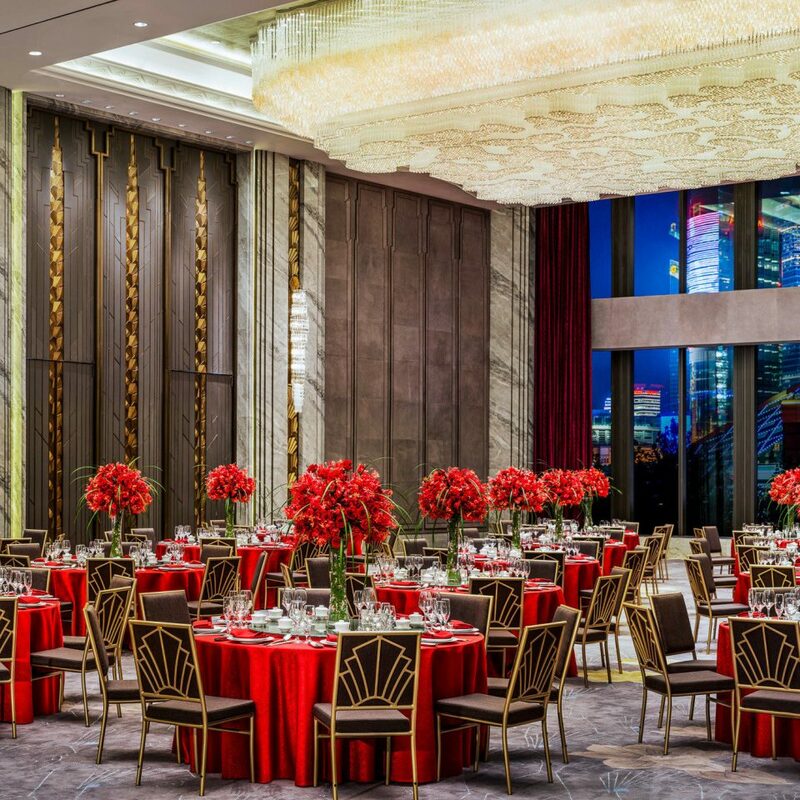 Wanda Reign has one of the largest rooftop terrace in Shanghai. 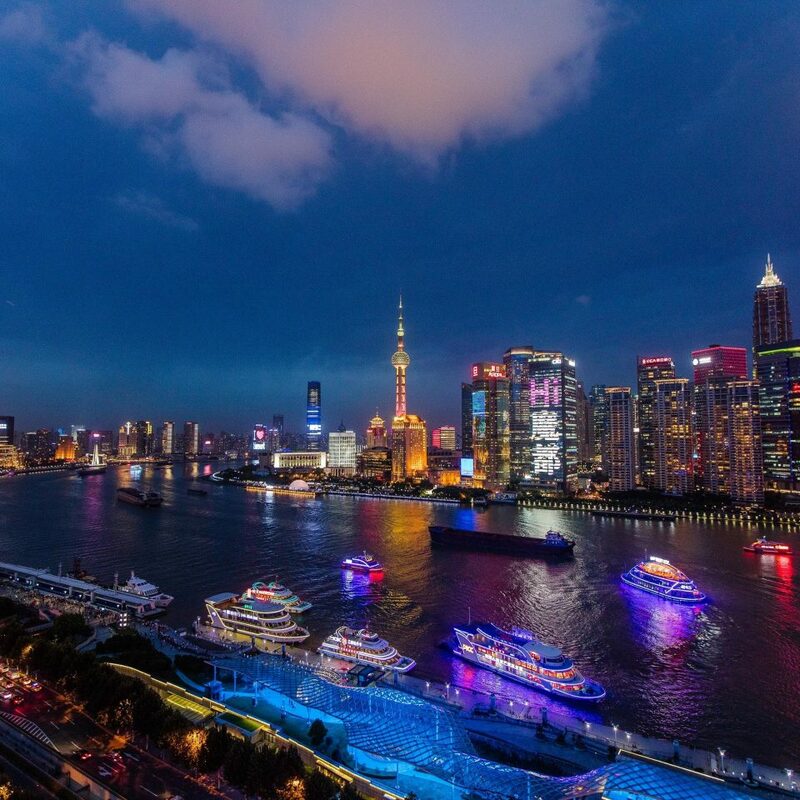 It's huge with a spectacular Bund view. Actually, this property is all about space. A spacious lobby lounge with very little decoration and furniture, all kind of rooms and suites with stunning Bund views, except the Gym, Swimming Pool and the Locker Room. 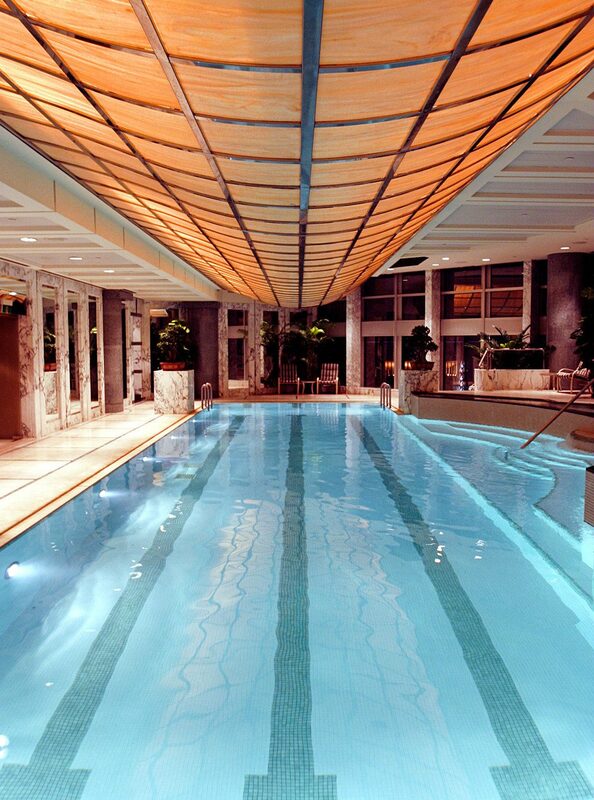 Gym is small, swimming pool is so so with a strange design and locker room is really super small with almost nothing. I found it not so clean, when I was in the locker room. I was shocked. It was unexpected. Recently, I also met the new GM of Wanda Reign. He is new and full of energy. Possibly, one of the best GM of Shanghai today. But I am not very impressed with the Wanda Hospitality team, including all other managers. They need training, coaching and personal development. Hospitality industry is extremely competitive in Shanghai today. There is no room for poor service or poor quality. 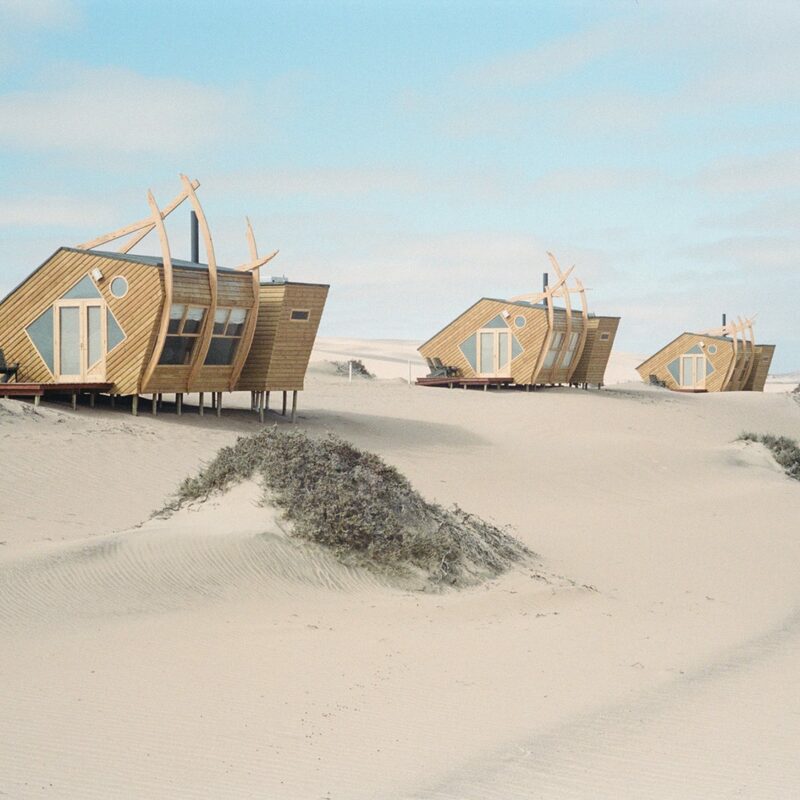 Great hotel in a wonderful location. First impressions were very good, a stunning reception and view from the room. 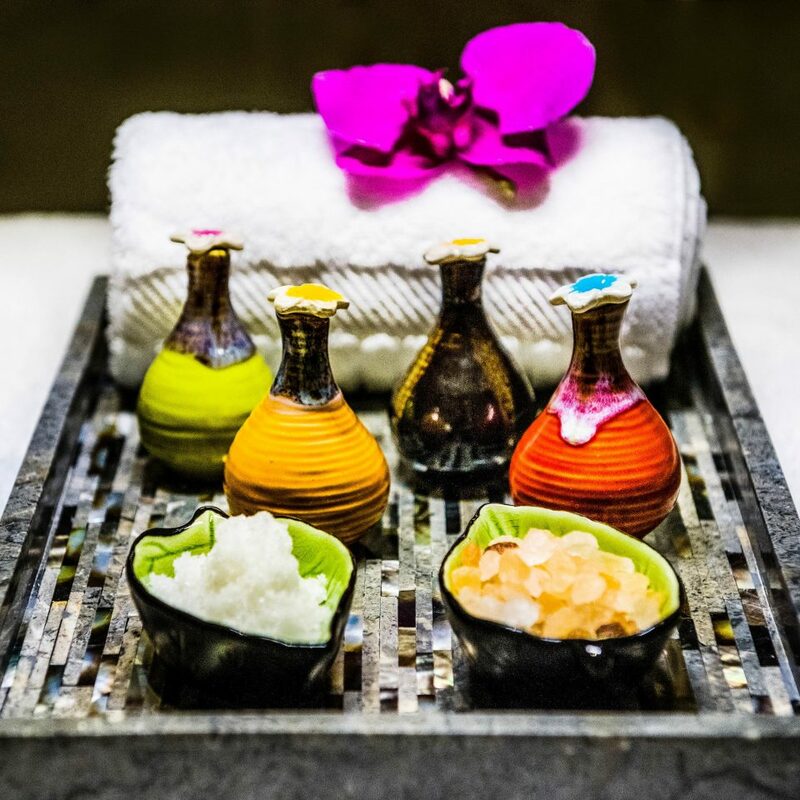 The staff throughout are exceptional; friendly, attentive and welcoming. Breakfast at Wanda is a marvel, the selection and variety of food probably the best I’ve ever experienced. Lunch is only quite good though, although arriving at just past midday at least the main courses were sold out each of the four days our group had lunch. The rooftop bar is a real weak point sadly, every Bund view bar we visited was jam packed and vibrant, except the bar at the Wanda. The drinks menu is limited and the staff are unfortunately not too great. The cocktail waiter couldn’t deviate from the choice of 6 or so cocktails whatsoever. I asked for an amaretto sour (there was a whisky amaretto sour on the menu), nope, don’t know how to make that, sorry. On our last night there was a private party at the rooftop bar, so we got redirected to the bar on the ground floor. All ok with that BUT... the downstairs bar closes at 10pm so we had to leave the hotel and find somewhere else for a drink. Hard to believe that a guest can’t get a drink after 10pm... should be a solid 5 star review but due to the issues we had it isn’t. 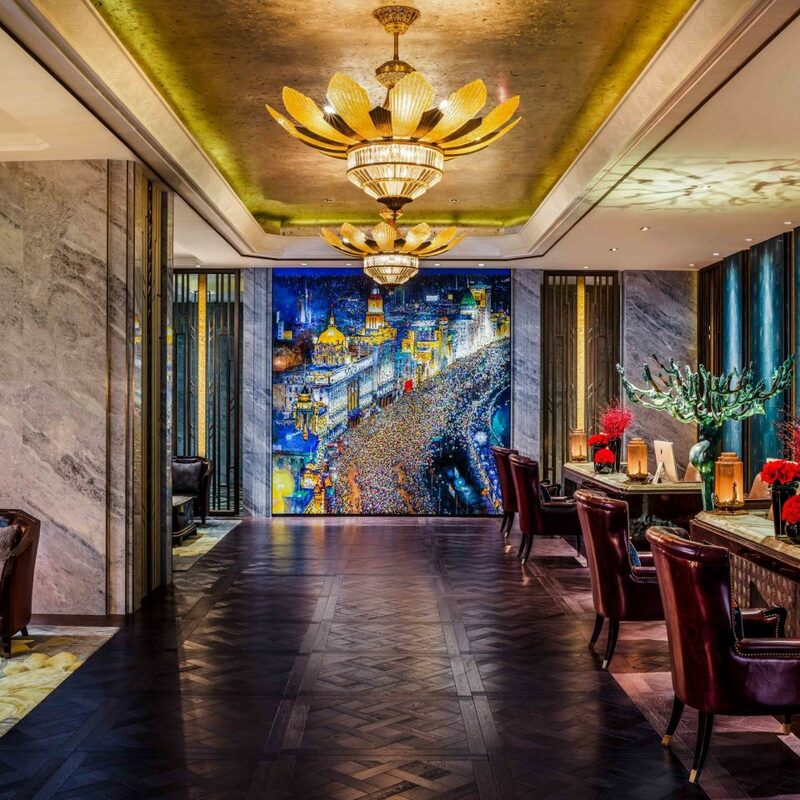 The Wanda Reign on the Bund was an exceptional experience. Everything about this hotel was superior. 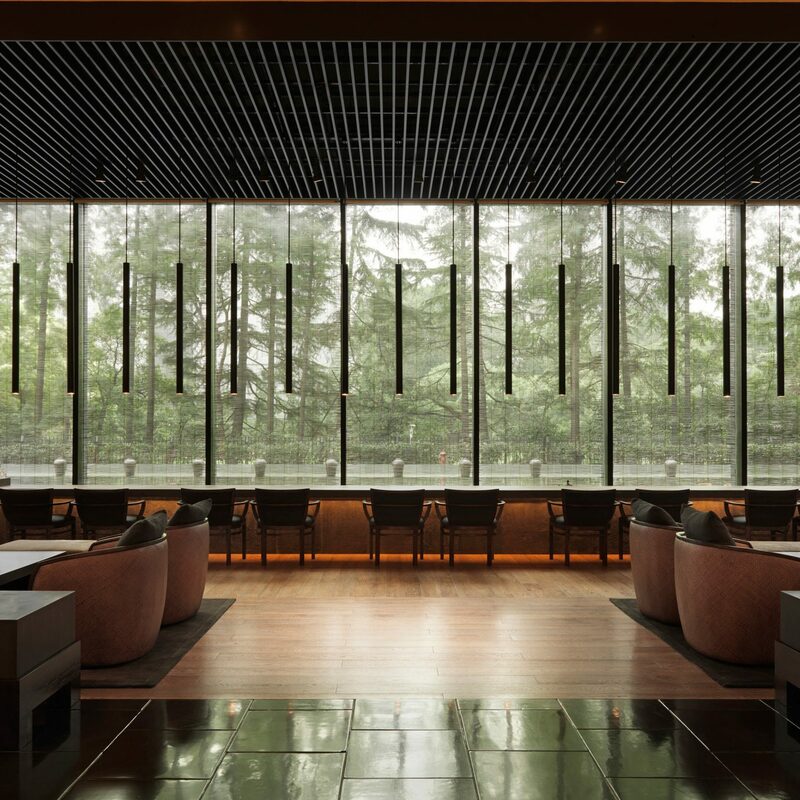 The location is great, the architecture of the exterior and interior interesting and fresh. Our room was state of the art in every respect. The bed was very comfortable and we had a million dollar view. The staff was extremely helpful, professional, and friendly. The restaurant served some of the best food we experienced while in China with outstanding service. 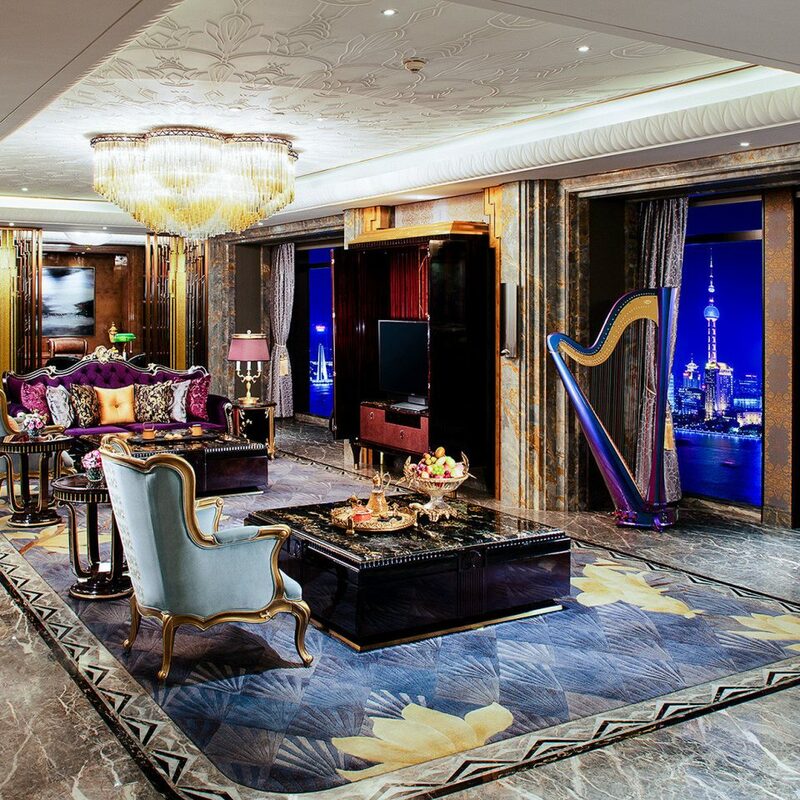 Our stay at The Wanda Reign on the Bund was pure perfection. 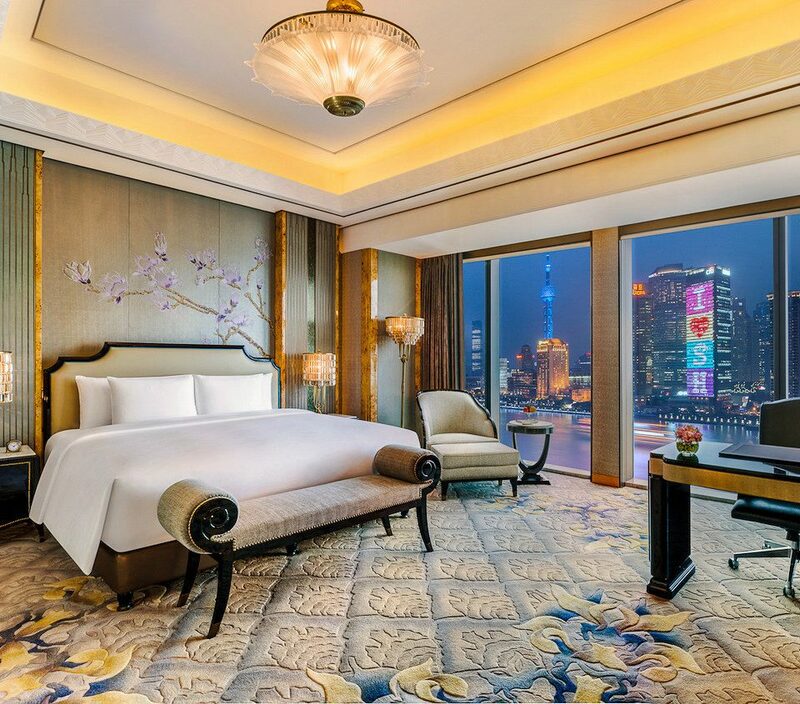 This hotel is ideally suited for great day and night views of the Bund, and the river. The lights at night are spectacular. The suite we were in was just lovely, with luxury at every point, including our own Nespresso pot! Lots of room, elegant furnishings, and good service. The dining area was beautiful to see, with good service, and a wide variety of foods from the buffet. Desserts were especially exceptional!